Listen here or use the Flash Player on this site. Subscribe to the podcast on iTunes! This episode is sponsored by my Longaberger Home Business. www.longaberger.com/paula Sign up for my email newsletter and sale notifications by sending an email to me at Paulaef@aol.com. 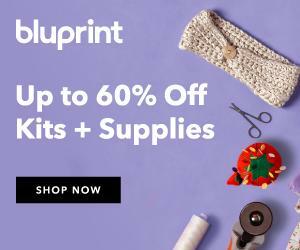 Congratulations to Lisaknits/ lasknit2, yarnette, and stephigordon/indigodogmt! Please PM me and I will contact Laura so she can get the pattern to you. Added a light ruffle because it seemed a little plain and I wanted to use up more of the yarn. I wore my Radiance Shawl to my nephew's wedding. Someone cleaned her glasses with it. But it wasn't any of the lovely people in this photo. This is our immediate family: 3 sons, 1 DIL and future DIL, husband, and me. These are our three sons who were ushers for the wedding. I'm so proud of them. Whole Wheat Bread Baking for Zabelle in Montreal. The tutorial and recipe is on the side bar. The original recipe came from The Vegetarian Epicure by Anna Thomas c. 1972. (yikes!) Now out of print but it seems there are lots of used copies out there. But none of them probably have as many food stains as mine does. 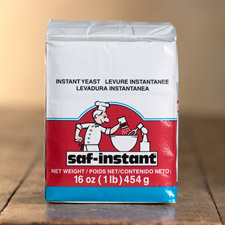 My favorite yeast is SAF available from King Arthur Flour. I also like the recipes on the King Arthur Flour site. This is what the SAF Yeast looks like. I buy the red not the gold. A whole pound for just $5.95! Hi Paula. Thanks for another great episode. I love how in every episode you hit on some topic(s) that particularly resonate with me. There were several this time. I really appreciate your comments about the too-often maligned bats. We used to get them in our house a few times a year and while I don't pretend to want them in my house, I'm sad that the reason it hasn't happened lately is likely due to the fungus that has been killing so many bats here recently. I also loved the bread-baking discussion and the trip on the way-back machine that was triggered by your reference to the Vegetarian Epicure. Do you also remember the Deaf Smith or Ten Talents cookbooks? As I often do, I listened while taking a walk and was glad no one was around when I heard the part about the woman wiping her glasses on your shawl. I let out a whoop that was somewhere between hysterical laughter and outrage on your behalf. Unbelievable. Finally, thanks for posting the photos from the wedding. You look lovely inn your black dress and red shawl, and it's so nice to see your handsome sons after hearing about them on your podcasts. Happy Fall. Your bat story reminded me of a recent bat experience: boarding an airplane in the pre-dawn, we were startled to discover a bat in the walkway that leads from the building to the plane. It flew back and forth, shooed away by passengers attempting to prevent it from entering the building at one end and the plane at the other. With each pass, the line of people ducked as it flew overhead, in a variation of the "wave" spectators do at a sporting event. Except that the poor bat must have been very frightened, it was really quite funny. Thanks for the bread recipe. I have made my own bread in the past--used to even grind my own flour--but hadn't lately. We needed hamburger buns for supper, so I used your recipe to make 13 large buns. Delicious! Red shawl is lovely in the wedding pic and nice enough to polish smudged glasses! Three sons are very handsome, I bet they are PROUD of you as well. Thanks for mentioning bread baking, I think I'll try it! I've been listening for the last few months, at the recommendation of several other podcasts. I've always enjoyed your casts, you have a lovely friendly voice, and I really appreciate the segments you have on wildlife. When you talked about the wedding guest using your shawl to clean her glasses you could have picked my jaw off of the floor. You are a saint for being so calm and not getting snarky with them. Thank you for the bread link. I'm always looking for a good bread recipe. It is an adorable article about penguin sweaters. I was so excited to hear you talking about bread baking. I have baked bread off and on since my mom taught when I was young, but the last several years, I have been making almost all of our bread. It is enjoyable, thrifty, healthy, and delicious! I was a slow learner about not adding too much flour to the dough because I have just gotten that down in the last year or two. I also knead my bread with a Kitchen Aid and can't imagine being without one. The King Arthur Website is a treasure for recipes - I use it almost weekly. Also, if interested in whole grain bread baking, I highly recommend the Laurel's Kitchen Bread Cookbook - it is fabulous! The flour makes such a difference in the finished product. Our Walmart carries Wheat Montana's Prairie Gold Flour. It is a white whole wheat flour that makes a beautiful loaf. I also really like King Arthur's White Whole Wheat flour. The closing song was beautiful - very Jim Brickman like! Thank you for such a great belly laugh! Your account of the crying wedding guest was hysterical. I was exercising while listening and I dropped my hoop, I was laughing so hard. Some people JUST don't think! Recently, I was in check-out at a store and a woman asked me where I get my "gray" done. I almost told her my boys give me this look, but I politely told her I do not pay for my 'lights'. I smiled and said, "It's natural!" But who would ask?!? I guess we should all start carrying glass wipes with us to weddings? 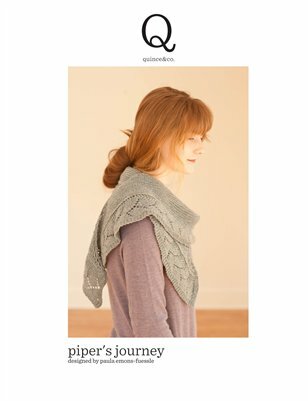 Or let's not stand next to teary women while wearing our hand-knits. Thank you for the laugh, Paula.